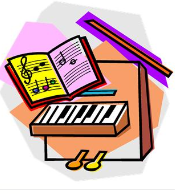 The PTSA organizes a number of events and gatherings throughout the school year. For example, PTSA general meetings with special topics for parents, informational breakfast events with the principal, and - our favorite - family movie nights! The specific event dates will be listed on the calendar. Students in all grades are invited to participate in the 2017 Science Fair/STEM Night on May 5. 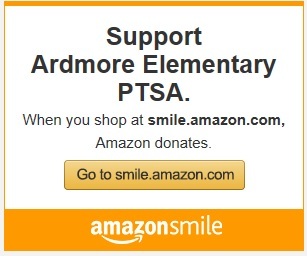 Money raised through fundraisers allows the Ardmore PTSA to support school improvements and a variety of activities throughout the year. 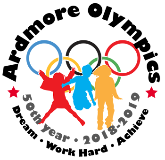 Our fundraising activities can be as simple as collecting box tops to our signature event, the Ardmore Olympics, that offers a many of ways for parents to get involved. 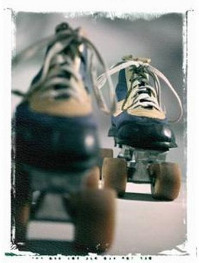 The PTSA works with local arts, athletic, and other businesses to provide after school activites such as drama, science, cooking, Tae Kwan Do, and chess on certain days of the week. We announce a new set of activities every 8-12 weeks. The best way to learn about these is to join the Ardmore Parents Facebook group and/or watch the Ardmore Eagle newsletter for announcements.